Load balancing and application services used to rely on traditional (i.e. old fashioned) appliance-based web application firewalls. That day has now passed, according to Avi Networks… a firm known for its so-called Intelligent Web Application Firewall (iWAF) technology. Where [software] appliance based firewall technologies were (admittedly) constrained by the operational and performance limitations of the hardware upon which they say, Avi Networks says it has come forward with a software-only solution that operates as a centrally managed fabric across datacentres, private clouds and public clouds. It is, by nature then, scale-out… as big as the web needs. The assertion here is that traditional web application firewalls suffer what the company calls ‘wall of knobs’ complexity, that is – they present a massively complex surface of dials and switches all operating as controls for black boxes that provide little to no intelligence. Avi’s elastic scale-out platform enables iWAF to perform at what is claimed to be 50X faster than legacy appliances, processing hundreds of Gbps of throughput and over a million transactions per second. 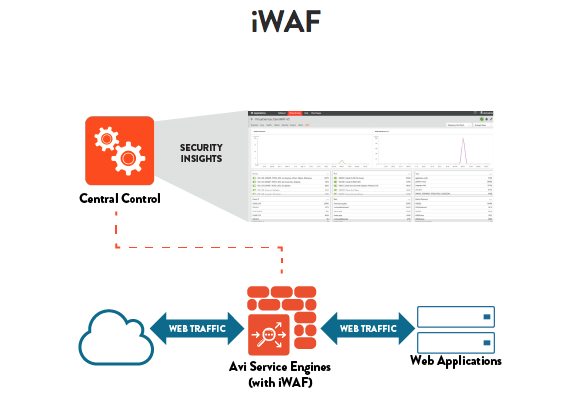 Also… iWAF protects web applications from common vulnerabilities identified by Open Web Application Security Project (OWASP), such as SQL Injection and Cross-Site Scripting, while providing the ability to customise the rule set for each application. Additionally, iWAF analyses the security rules that match a particular transaction, providing this in real-time as applications and attack patterns evolve. Based on this intelligence, one-click customisation of rules and exceptions could help reduce the problem of false-positive fatigue. Essentially this product provides centralised management, elastic scale and closed-loop security analytics. The Avi Networks iWAF is the latest component of the Avi Vantage Platform, which features a Smart Load Balancer and an Application Service Mesh.